We are more than the sum of the trouble we are going through. I think that a lot of the times we tend to define ourselves according to our troubles. We are victims, we are picked on, we are divorced, widowed, addicts, unemployed and unworthy, you get the picture. We look at ourselves as if who we are is measured by what we are going through. If we are living on this earth, we are going to have trials and tribulations. If we look at ourselves solely as the sum of our troubles is it any wonder that everyone else soon does the same? As long as we are defining ourselves in terms of our troubles we will never be free from them. There is one big thing that we tend to forget I think. No matter what we are going through we are still God’s child. No matter how stormy the weather or how choppy the seas, we still have our destiny. God’s presence does not depend on whether we are living in pleasant or turbulent times. So yes we might be living through any amount of trouble but we must never forget we are so much more than all that. 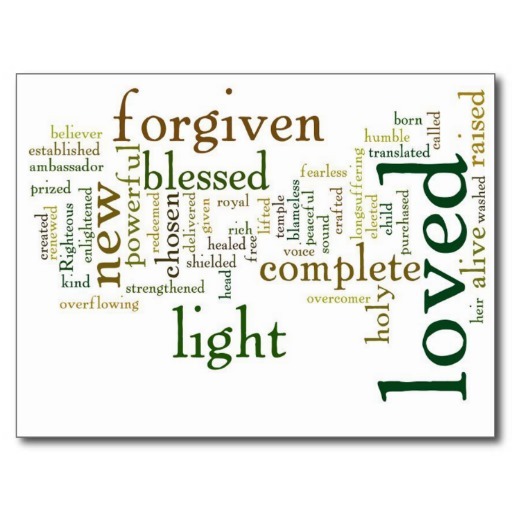 We are also healed, loved, raised up, redeemed, His workmanship, justified, worthy, purchased by the blood of the Lamb. We are clothed with the righteousness of Jesus. Endure, stay in the fight for our Life coach is always with us. We already possess all we could ever need. No matter what Satan has laid down for us, no matter the storm that is raging around us. We still have our destiny. God prepared it, Jesus assured we would receive it. God seems so silent sometimes. We pour out pour heart to Him, anxiously awaiting an answer. We are waiting for the encounter with him that heightens our trust and faith. ………and we wait, yet the unrelenting darkness settles in permanent fashion. Our prayer turns to cries of anguish as we are confused and dazed as He not only seems silent, the perception is that God is absent, unreachable and simply doesn’t care. I often find God when I am riding my motorcycle, so when God has apparently taken a trip abroad, I jump on my bike and let the wind take me where it will. Instantly a peace comes over me and moves within me. It is simply a feeling, not like God is talking to me or anything. I am refreshed and comforted, again, just a feeling, nothing concrete from God. I am still praying and still listening but so far the door is still shut. So I continue riding. I am waiting for the almost audible voice that belongs to my Father and that I have come to count on. But I get nothing. Then a small critter runs practically under my front wheel but neither the critter or me are hurt. I come into a corner to hot and hit the gravel parking lot, but glide up to the gas pump as if I meant to go through there like Evil Knievel. Someone comes up to me while I am sitting enjoying my Diet Pepsi, it ends up we pray together and I am most blessed. I round the bend and am graced with the most beautiful scenery I have ever seen. God is like the wind because he is a guiding force in our lives. Even though you cannot physically feel or touch him you can feel his prescience. You can feel Him as He refreshes and comforts. You can feel him in the peace that is moving within you. You can see His hand in an averted accident, in an incredible entrance into a gravel parking lot that should have by all accounts ended in disaster. You can feel Him as He settles between two kindred souls who are praying together at a humble outdoor wooden table. You can feel him as you take in the beauty around a whole lot of bends in the road. We could look at Job 30:20 or Psalm 22:1-2 to see that we are not alone in thinking that God, at times, seems distant, absent or totally not at that address. But that is just how it feels, not how it is. He didn’t make plans for our lives to give us a future and hope just to disappear on us. We will not fear He has gone anywhere because we believe in the promises and not the perception. Isaiah 55:8 for my ways are not your ways. It seems I have to keep being reminded of this! A very good friend of mine gave me this verse last night. It was at a time when nothing but the word of God would comfort, for both of us I think. It was only when I breathed these words of truth in that I could close my eyes and rest. I like the translation I read this morning, “God has taken His place in her”. That brings so much comfort for we know the attributes of God, there is nothing beyond what He can do. We often wait in His presence to hear His words of comfort and healing. But this verse tells us there is more. This verse gives new meaning to waiting in His presence. We are not only in His presence, He has taken His place in us, He is in essence every breath we take. That is beyond comfort to me. 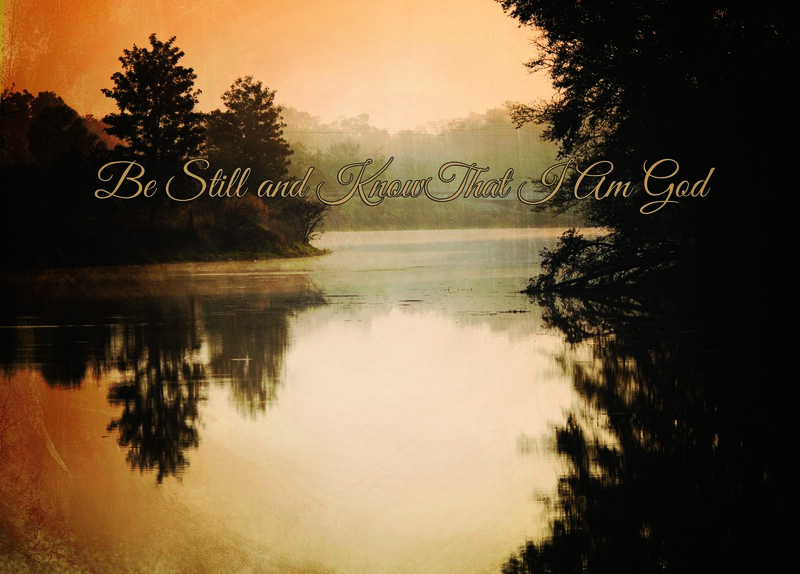 Be still and know that I am God Psalm 46:10, just a few verses later takes on new meaning when coupled with the fact that He is no longer sitting across from us holding our hand assuring us it will be ok. He is living and breathing as we do. He is one with us. It is easier to wait in His presence when we know that He is our presence. Praise you Father for giving us what we need, when we need it. We truly can find rest in you. Thank you for good friends who hide your words in their heart and let those words bring comfort. It is said we live in the Promised Land, yet it seems we spend much more time wandering in the Wilderness than we do enjoying the Promised Land. Life happens, and it happens to all of us. But day after day a“wandering” we go. It is very common to dwell on the unfairness of life and even more so to wear out several pairs of shoes wandering as we keep investing too much time in the following thinking. They do not know what I have been through, they only know the barest of facts, how dare they say those things to me. I cannot do this one minute longer, life is so unfair and I have been dealt the most unfair blow of all can’t everyone see that I am struggling? I have no control over what is happening to me so I am just going to quit caring. It hurts to much. It is easier to hide and not participate in life than accept reality and live in it rather than fight against it. A friend will say one thing to your face and quite another behind your back. Don’t get me wrong, every single one of those things may be true. No one and I repeat no one knows the truth about any situation unless they have been by your side every second of every day. There are times we do feel like we cannot stand to the pressure of life for one second longer. There are times the unfairness of life knocks the wind right out of you then sits on your chest so you can’t take a breath. Let me tell you another thing. It is said that God will never give us more than we can handle, well that is a bunch of hooey, God will never give us more than HE can handle. All we have to do is let Him. So dear friends, I hope that you will take it to heart when I say that you are right, no one knows what you have been through, and they will keep making assumptions that hurt like the dickens. You will hear, “get over it”, “don’t you think you have carried this on long enough”, “well I never intended it that way, you misunderstood”. Some of it may be true, some not so much. Although there may be a fair share of ruffled feathers, If we are grounded in God’s truth it doesn’t really matter. God knows what you have been through, that is all that matters. God does and will continue to walk us through tough stuff until He gets us where He desires we be. It is only when we walk through the hard places that we learn to trust Him like we have never trusted anyone in our lives. 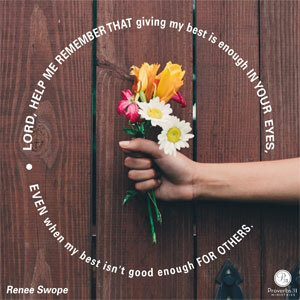 We wouldn’t be learning these lessons if God had not placed these people in our lives. I heard or read (I can’t remember) a sermon once that said that those unlikely voices that God places in our lives are there for a reason. I like to think those unlikely voices may well be God. Hang on dear friends, for He is leading us to a new place, a place of peace, the place we have been seeking for a long time. God does not bring us to the wilderness to leave us there, He brings us to the wilderness so that we can find Him there. I ride a motorcycle. My husband rides a motorcycle. I have noticed there is a huge difference in how we approach riding. I cannot speak to the male version of riding for I have never been a man on a bike, but I can speak to my more feminine version of riding a motorcycle. In a world where women are often taken for granted or underestimated, it reminds me I can indeed do whatever I set my mind to. I am more than the sum of my parts, I am beautiful, strong, independent, rebellious, incredibly unique and more than a little adventurous, and I ride a motorcycle. We all deserve to be given the chance to inspire, to ride is to inspire other women to be the best selves they can be, whatever that may be. It may not involve a motorcycle at all, but riding provides the inspiration to go for more than the ordinary. As I ride I listen to what is being said, the melody of the motor quiets all that is out of order. To ride is to relax my mind of the stresses that bind and to breathe in the beauty of the connection between the road and the soul. When I take the time to discover and define what the road and my bike are telling me, I find it is God talking, not nature and not mechanics. He is whispering beauty and truth in every direction. He is wrapping me in the warmth and comfort of a road well-traveled, a road with a destination not found on earth. The only road I need to travel in fact. It is called meditation on wheels. It is called finding God in the surroundings He created. What riding does for me does not end there however. God has allowed me to ride so that I can spread the gospel to those who are the same unique and unconventional individuals that I am. I have the privilege of sharing my hope with those who I probably would not cross paths with in any other way. It is conventional evangelism in an unconventional way. For me, riding is more than entertainment, more than stress relief and more than wind in my hair or pure joy and fun. Riding is a way to introduce Christ to those who are hurting and uncomfortable and are hiding from the light because they might not feel worthy. 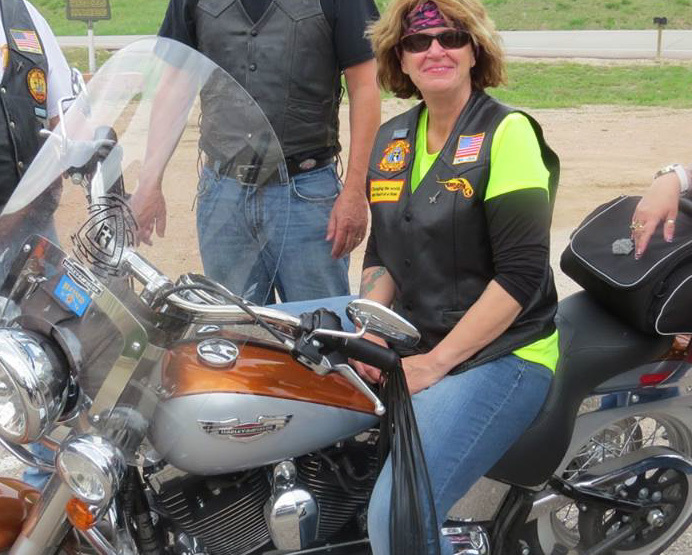 It is sharing Christ with those who might not be comfortable in a traditional church setting but they are comfortable with the freedom and solitude their motorcycle affords them. They are comfortable when they find a kindred spirit. In the truest sense of the words, riding offers freedom, the kind of freedom that only Jesus can provide. My ride is defined and exemplified by my desire to go where I am needed, not necessarily where I am comfortable. I ride for freedom in the truest form of the word. That seems to be a complete catch 22 statement. We mistake the feeling of emptiness as unhappiness, depression, emotional pain, incompleteness, despair or probably a lot of other things. The thing about it is ……empty is empty. If we let it, emptiness can fill us to the point of agony. It is at that point that we try to fill that emptiness. It is a hole, it is a deficiency and it is crying to be filled, so we do. Off we go on a journey to fill the void that is leaving us wanting something more. Food, work, frugs, alcohol, meddling, gossiping, clothes, the list is endless. The more we try to fill the emptiness the more it takes. No matter how much we do or how much we get, it is never enough to fill the emptiness. It doesn’t take long to discover that the void we are trying to fill is a bottomless pit. It is a void that is very much like quicksand. There is nothing that we can provide as humans that will fill that void. We look to earthly means of filling the void, instead of Jesus. Jesus is the only one who can look into our hearts and show us that He is the one and only thing that can effectively fill our deep emptiness. I think that God made the emptiness in our hearts with for a specific reason, to be filled by Him and Him alone. Let the Lord our God lead you back to the only thing that can quench the thirst in your soul, let Him lead you back to the only thing that can fill the emptiness in your heart. Fill me with Your promises and the power of Your love Father for that is the only cure that will last eternally. Mother Teresa said it so well. “It is only when you realize your nothingness, your emptiness, that God can fill you with Himself. Souls of prayer are souls of great silence”. Don’t listen to worldly wisdom, trust in the one who lights your path. I think this statement perfectly states how I am feeling right now. It took awhile to arrive here but I think that finally I am glimpsing at least a little of what God is trying to show me. A quote was posted on my wall not too long ago and I “liked” it without too much thought because it seemed to fit with what was running around my head at the moment. The quote was “The worst feeling in the world is knowing you did the best you could and it still wasn’t good enough.” Right on I thought to myself as I hit that like button while my bowl of self-pity was getting fuller and fuller. It’s been a tough year in our neck of the woods but where hasn’t it been a tough year, right? Every time I turned around I felt as if the wind had been knocked out of me and a distinct and overwhelming sense of discouragement became a constant companion. It seemed if it could go wrong in the past eight months or so………..it did go wrong. It is easy to get sucked into thinking that someone is out to get you and you are facing Goliath all alone. It is easy to forget that a sense of failure is probably one of Satan’s favorite ways to influence your thoughts. He is whispering in your ear, if your best isn’t good enough you are not good enough. Satan wages a pretty effective battle. But it is all lies. 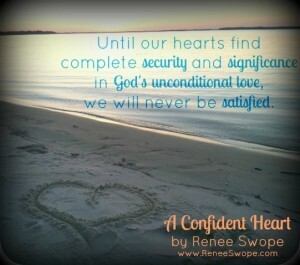 Then subtly and quietly God has started planting a thought in my heart. Yes my child, there will be days your best is not good enough, but it was all you had to give and you gave it willingly. If God is lighting your path and you are still stumbling along……………..God is still lighting your path. If your best efforts are met with defeat after defeat stand strong and be proud that God cares enough to hold you up as you stand through the fury that falls heavily when we stand for what is right. The closer you draw to God the more Satan is going to draw a clear and definitive line in the sand. Step forward into growth and watch as God takes your hand and helps you walk right over that line in the sand. He can and He will be your mighty warrior. Keep asking God to guide your steps and He will steer you right into victory.The only one your best has to be good enough for is God.